David Wright, the Mets’ captain and longest-tenured player, plans to retire after one last game on Sept. 29. 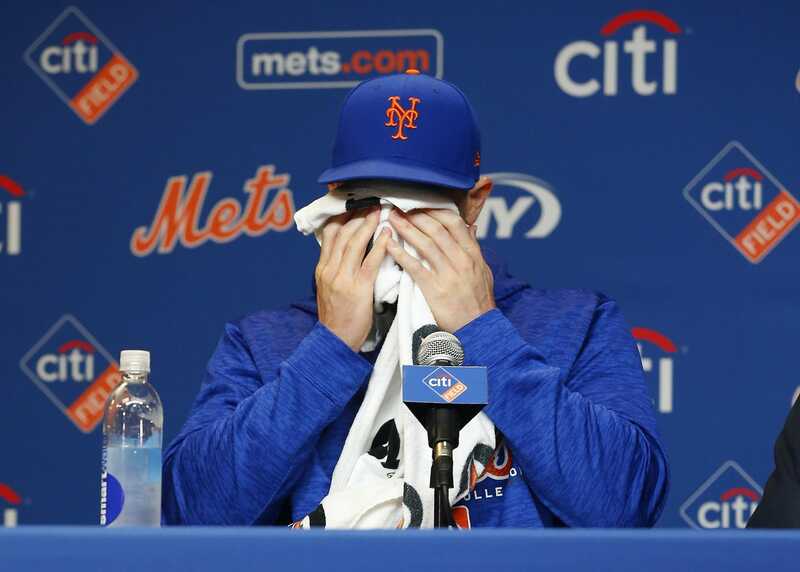 During a news conference on Thursday, Wright fought back tears and said that psychologically he is ready to play, but his body is not. After more than two years of injuries, three surgeries and a prolonged rehabilitation, Wright will come off the disabled list and start at third base against the Miami Marlins on Sept. 29, the penultimate game of the season. Wright has not played in a major league game since May 27, 2016. In the more than two years since he was sidelined, he has had surgeries on his shoulder, neck and back, in addition to dealing with an existing chronic back condition called spinal stenosis. Wright was drafted by the Mets in 2001, played in 13 major league seasons for them and played in seven All-Star Games.